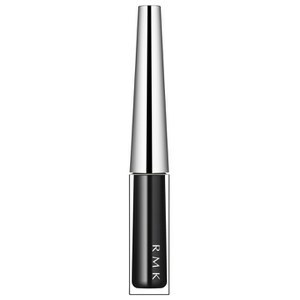 Create a look as natural or dramatic as desired with the Ingenious Liquid Eyeliner from RMK. With a fine tip for precise, smudge-free application, the liner is a make-up essential to define eyes in one easy stroke. Its silky formula glides effortlessly along the eye for a long-wearing finish and can be blended for a sultry effect. E.N. Brilliant product. Glides on eye, no smudging and removes easily at the end of the day. Best eyeliner EVER! !